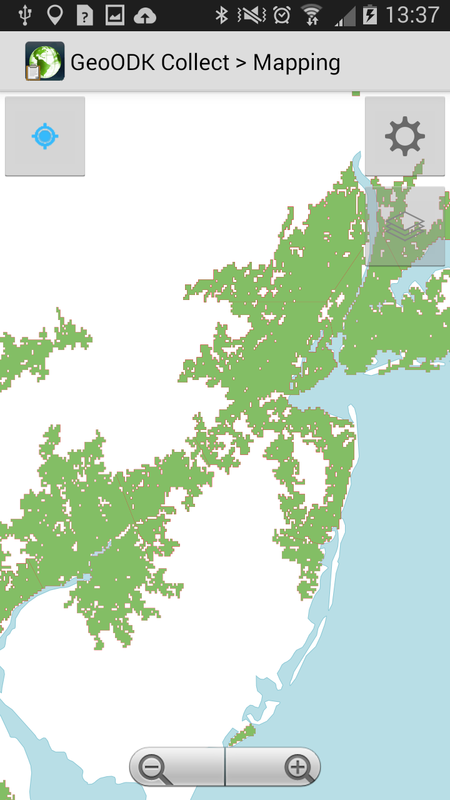 Add the layers to the TileMill project, and style the map how you wish. 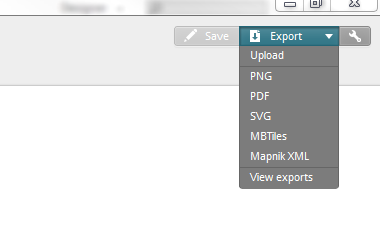 Once the tiles have been created you can select the View exports button and click the save button. This will then prompt you with the location you your tiles you have created. 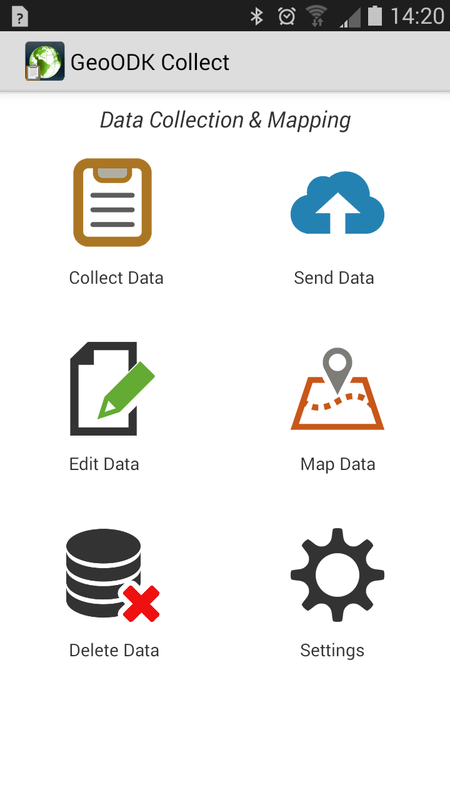 Create a New Folder, and name the folder something related to the layer. Inside the folder you just created pasted the .mbtiles file there. 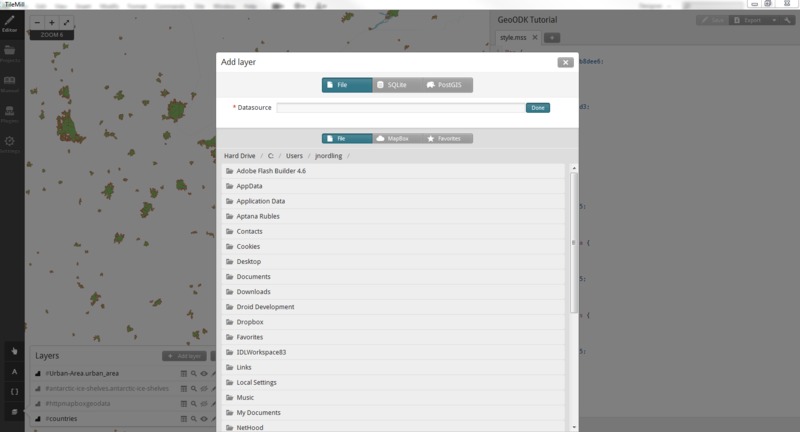 Open the GeoODK Collect App and select "Map Data"
From here you will see a list of layers that are on the devide. 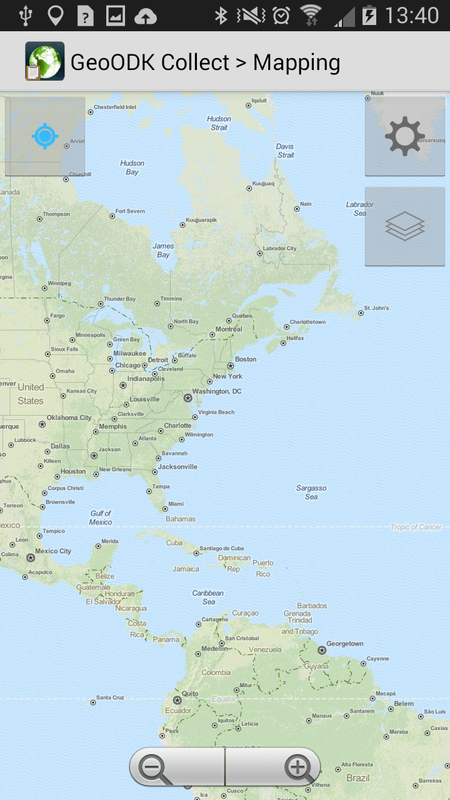 Select the on you want to be displayed on the map. Currently there is only functionaly to show one layer at a time. This is for performace reasons. 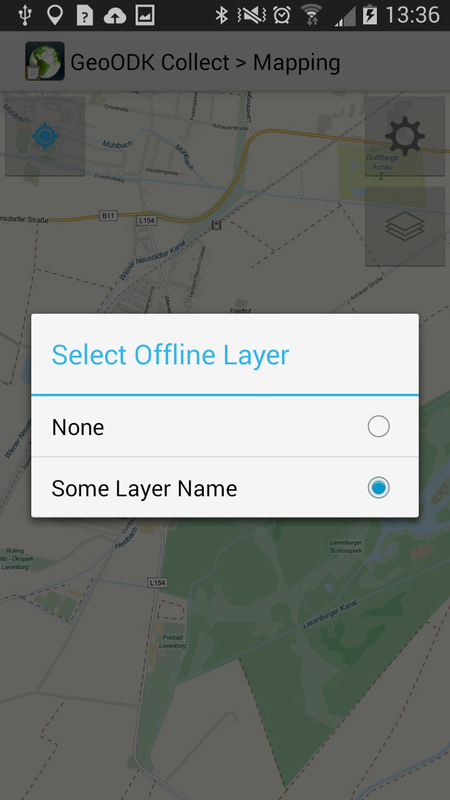 Once the layer has been selected navigate to the layer. Note: depending on your current zoom level and the zoom level that your layers is tiled you may have to zoom in or out.